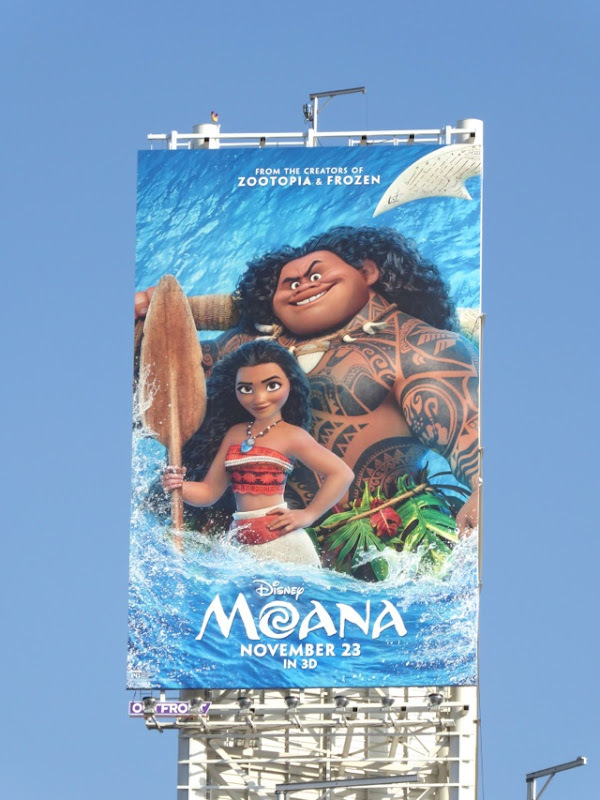 This Thanksgiving a new heroine joins the ranks of Disney's princesses, mermaids and warriors, it's time to get to know 'Moana'. 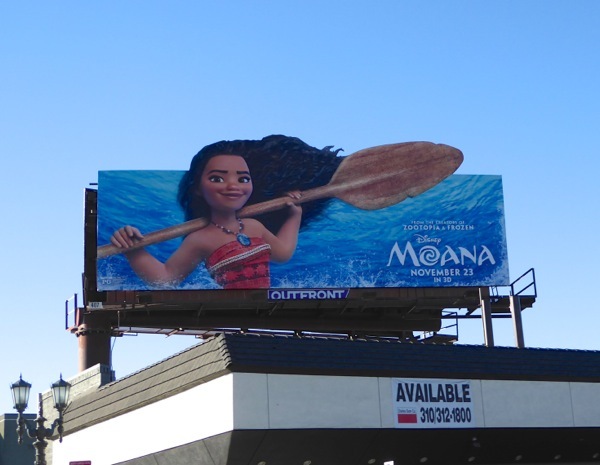 In the new animated adventure, the Pacific Islander from 2,000 years ago must use her navigational skills to set sail for a fabled island to help save her people. 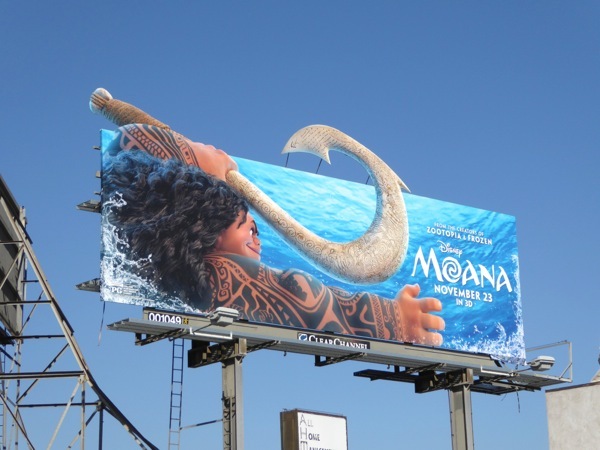 Joining Moana (voiced by newcomer and Native Hawaiian Auli'i Cravalho) on her quest is the shape-shifting demigod 'Maui' (voiced by Dwayne Johnson). 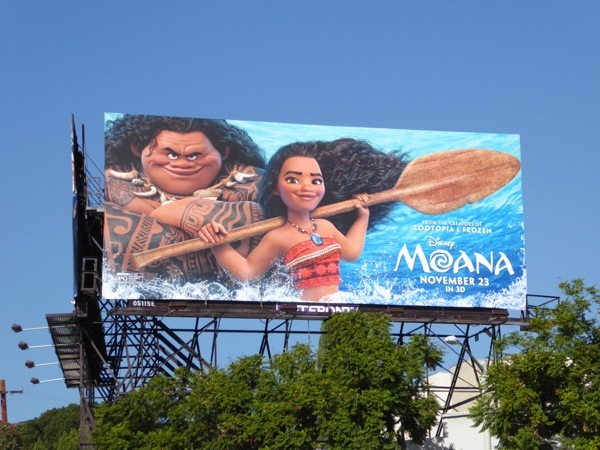 Not only does this new animated tale help bring Polynesian culture to mainstream audiences, but it also features original songs in the grand Disney tradition co-written by Hamilton's Lin-Manuel Miranda. 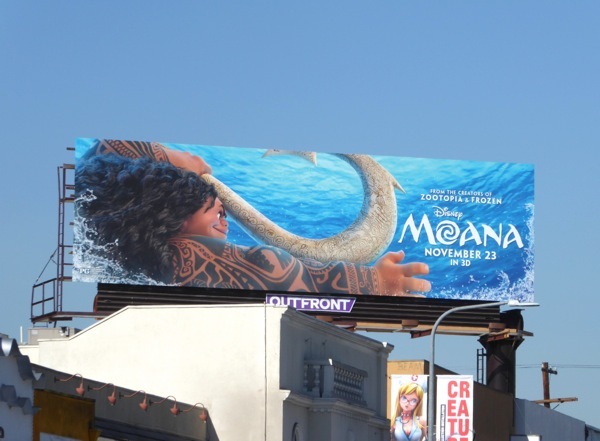 The film also reunites the talents of Disney legends Ron Clements and John Musker, responsible for bringing the likes of Aladdin, The Little Mermaid and The Princess and the Frog to the big screen. 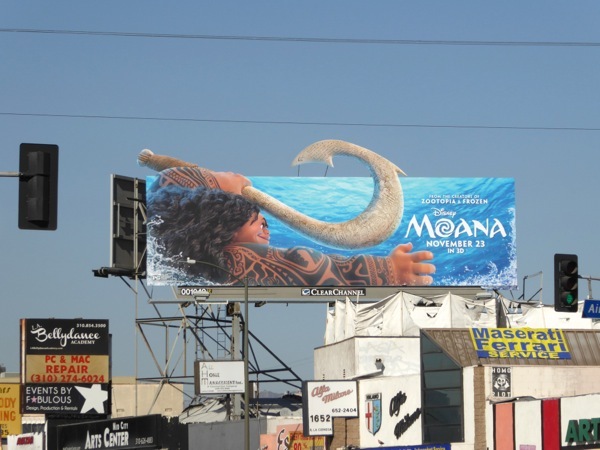 This 'Maui' special extension cut-out billboard was first spied along La Cienega Boulevard on October 19, then these other fun ad creatives popped up over L.A. like a tidal wave, along Santa Monica Boulevard, Cahuenga Boulevard and Westwood Boulevard through November 8, 2016. 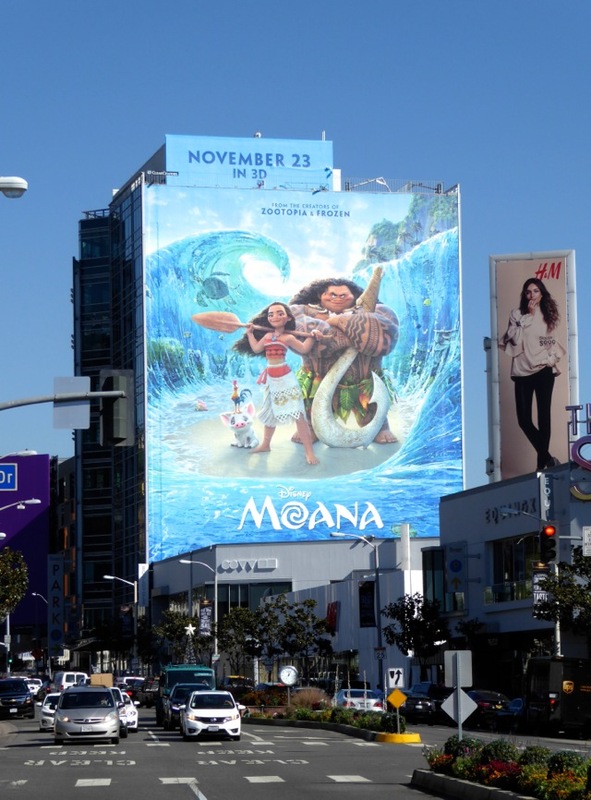 Meanwhile the giant-sized version was photographed towering over the Sunset Strip on November 14, 2016. 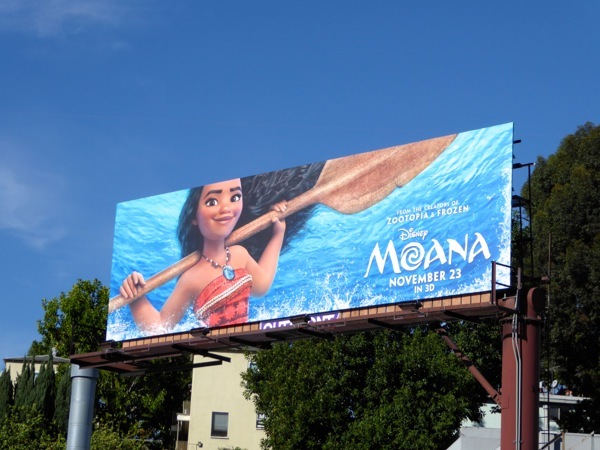 For more Pacific Island-themed ad creatives, be sure to also check out these Disney Aulani resort billboards from when the Hawaiian holiday destination opened in 2011. 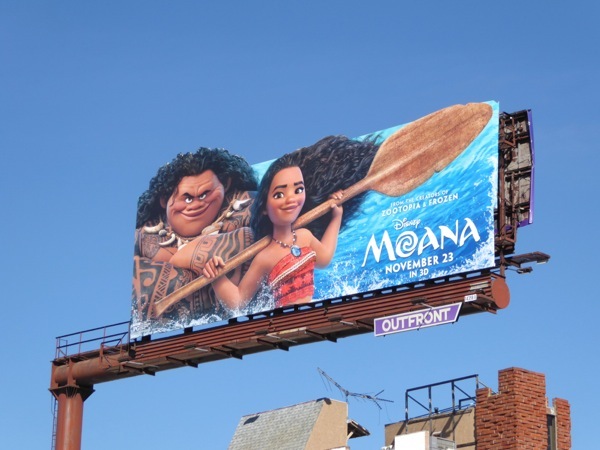 If you're a Disney fan, be sure to also check out all these other Disney animated and live-action movie and theme park billboards filling the city skyline in recent years. 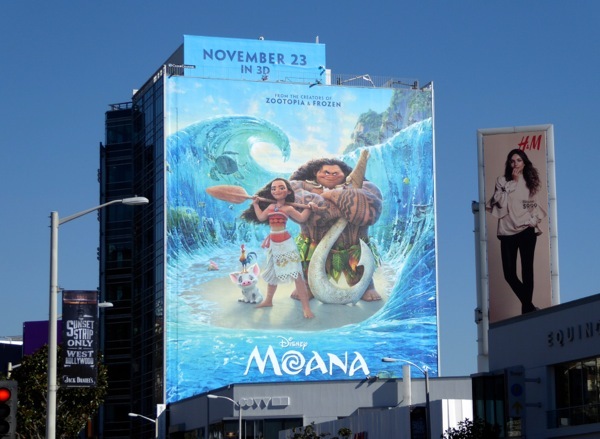 Only time will tell whether Moana can navigate her way to the top of the box office, and into hearts of millions, this holiday season. 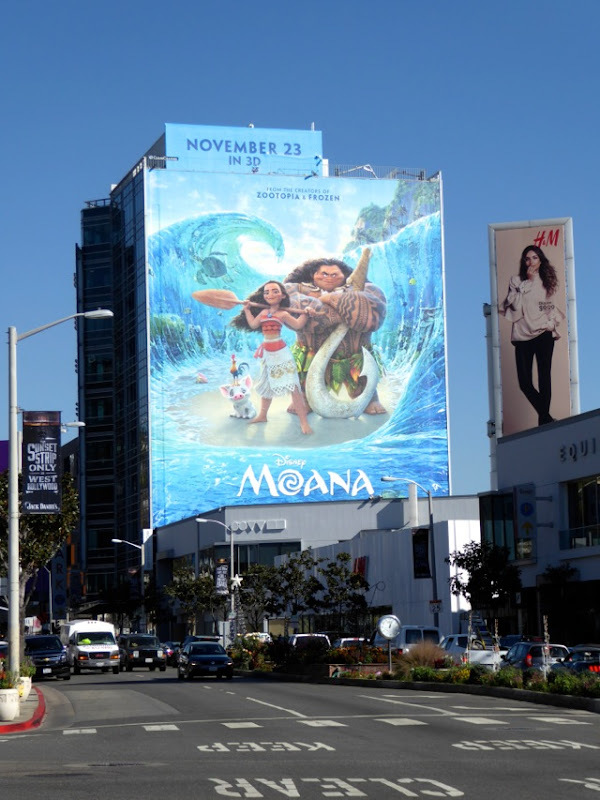 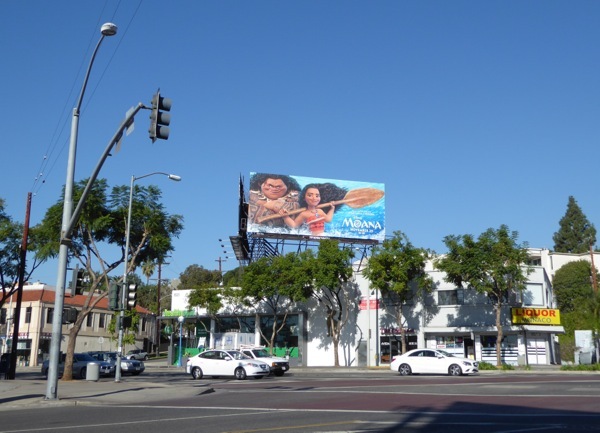 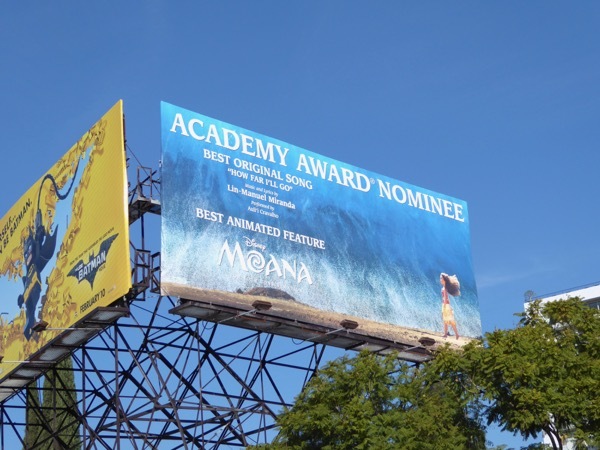 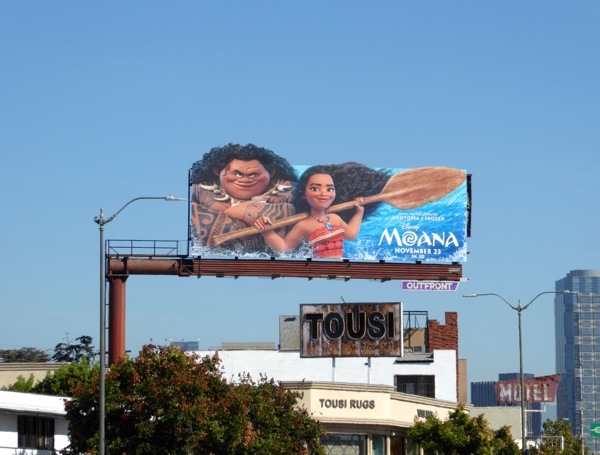 UPDATED: Here's another fun Moana ad creative with the unlikely traveling companions spied high over Hollywood's Vine Street on November 17, 2016. 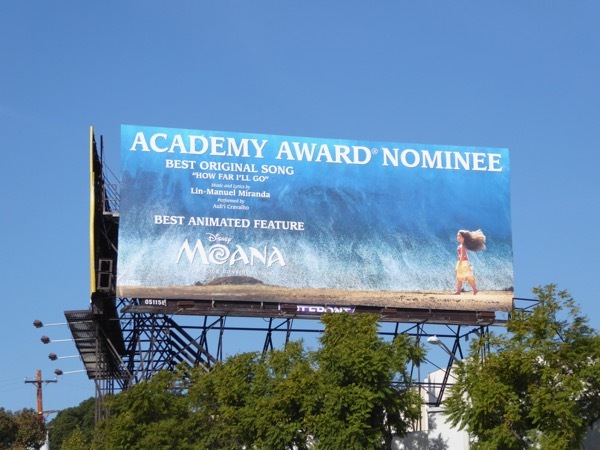 UPDATED: Already a box office smash with over $533.3 million ticket sales worldwide, Moana is also nominated for Best Animated Feature at this year's Academy Awards (along side Disney's Zootopia). 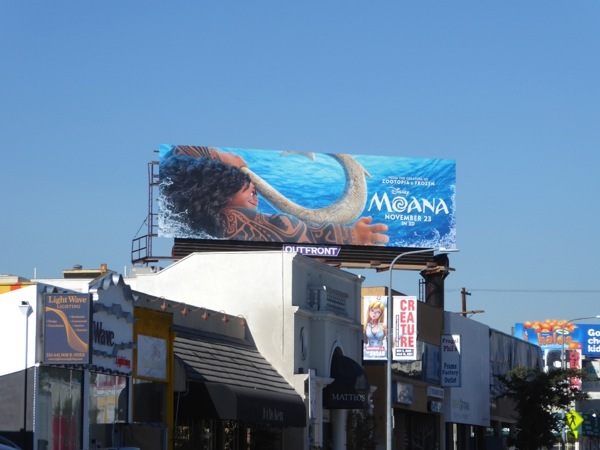 Here's some Oscar consideration support for the film snapped above West Hollywood's Santa Monica Boulevard on January 31, 2017.